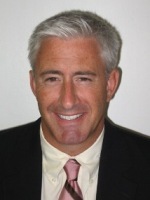 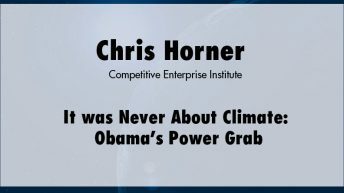 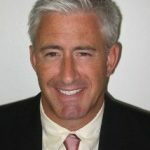 Christopher C. Horner is a senior fellow at the Competitive Enterprise Institute, where he oversees petitions and litigation on topics including data access and quality laws, the Freedom of Information Act, government science and agency statutory compliance, and other legal matters involving environment and energy issues, international environmental treaties, and climate policy. 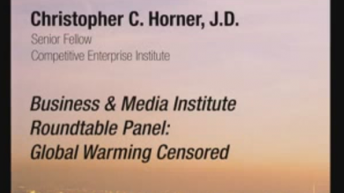 He is the author of the New York Times bestseller The Politically Incorrect Guide to Global Warming and Environmentalism (Regnery, 2007). 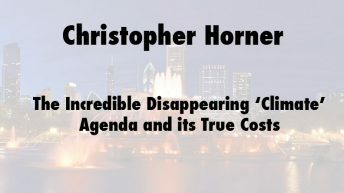 Horner has testified before U.S. Senate Committees on Foreign Relations and Environment and Public Works, given numerous addresses in the European Parliament and before policymakers in London, Rome, Copenhagen, Madrid, Warsaw, Prague, and other cities. 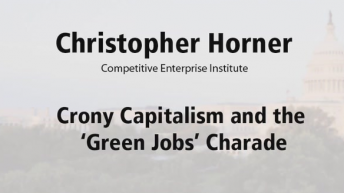 Greenpeace has repeatedly targeted Horner by stealing his garbage on a weekly basis, issuing press releases announcing with whom he is seen in the same room, and including him in various hysterical publications. 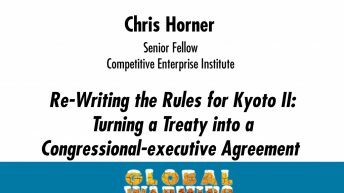 In 2005, Cristina Narbona, Spain’s Socialist Environment Minister, referred to Horner as “the devil” for demonstrating to audiences in Spain and other European Union nations how Europe is failing to meet its obligations under the Kyoto Protocol and why Europeans should abandon the doomed process.